Queen conceived without Original Sin . . . The word "conception" tells us that she is not eternal; that she had a beginning. 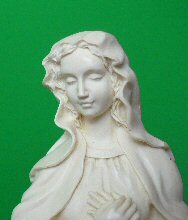 "Immaculate" tells us that from the first instant of her existence there never was in her the least conflict with God's will. The Immaculata is the most perfect of all creatures. 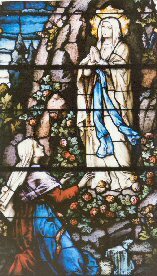 The curse of Original Sin was not present in Mary, thus making her immaculate nature the most fitting and perfect dwelling for God's Son. 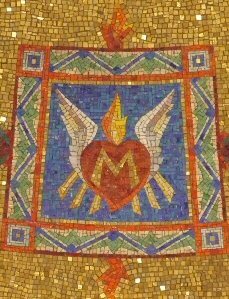 Mary is honored because, in her, the Son of God was conceived by God the Holy Spirit. We are strengthened and can confidently say . 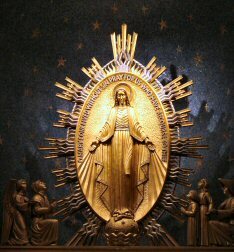 . . Hail Mary, full of grace, the Lord is with you. 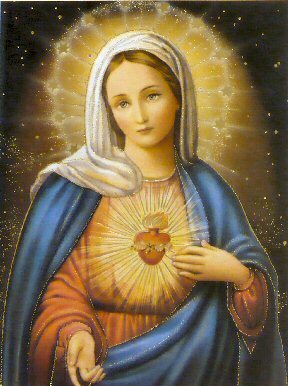 Blessed are you among women and blessed is the fruit of your womb, Jesus. 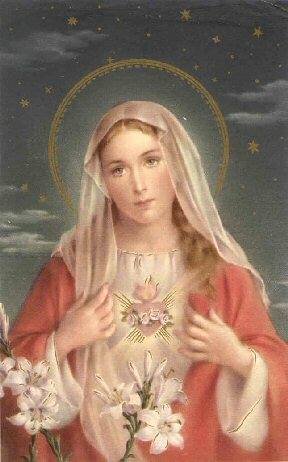 Holy Mary, Mother of God, pray for us sinners now and at the hour of our death. 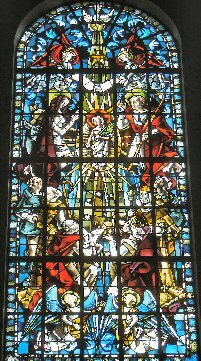 The Council of Trent made it clear in its canon that Original Sin affected all our race, with the exception of the Virgin Mary. The most solemn Papal Letter by Pope Pius IX, entitled, "Ineffabilis Deus" defined in 1854 the dogma of the Immaculate Conception as an article of the Catholic Faith. "For the honor of the Holy and Undivided Trinity, for the glory and honor of the Virgin Mother of God, for the exaltation of the Catholic faith . . . by the authority of our Lord Jesus Christ, we declare, pronounce and define that the doctrine which holds that the Blessed Virgin Mary, from the first instant of her conception, and by a singular grace and privilege of God, in view of the merits of Jesus Christ, the Savior of the human race, was preserved from every stain of Original Sin, is a doctrine revealed by God; and that consequently it must be firmly and constantly believed by all the faithful."